The Reel Brad Bell is usually the one showing you really expensive collectible items, but today I'm filling in for him. 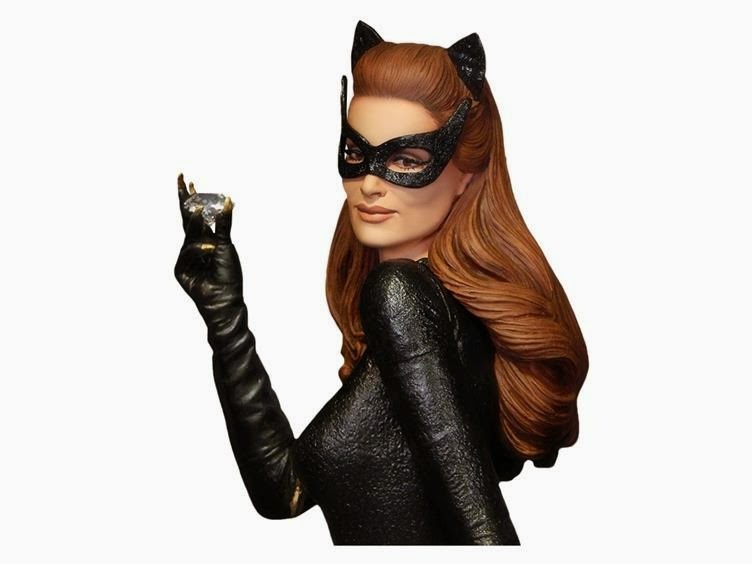 Check out this awesome Catwoman maquette from Tweeterhead. 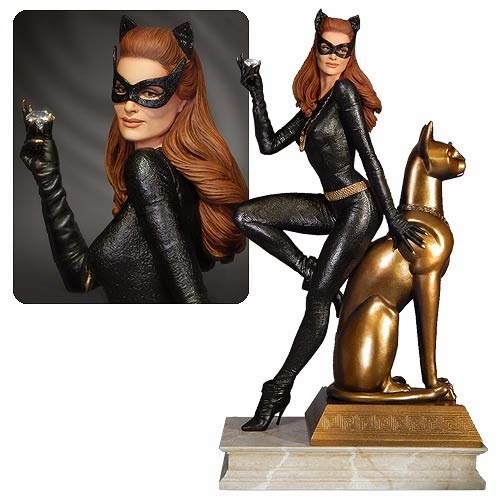 Based on Julie Newmar's portrayal of Batman's feline foe during the first two seasons of the 1966 Batman TV series, this maquette seems to do an excellent job of capturing the beauty, grace, and bad girl vibe of Ms. Newmar as the second greatest Catwoman of all time (sorry, I'm still a diehard fan of Michelle Pfeiffer's portrayal of Selina Kyle). She'll be released in August of 2014 and sells for $249.99. Check out Big Bad Toy Store and Entertainment Earth to order one for yourself. 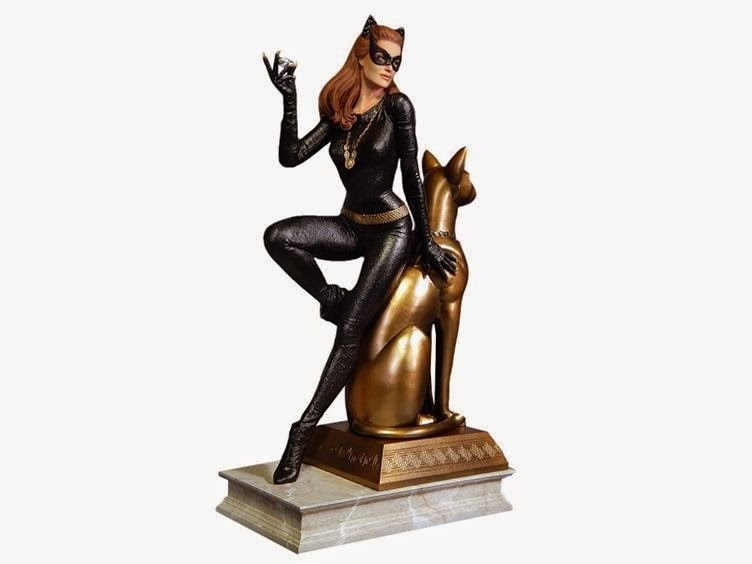 I think my wallet will jump off a building when places like Hot Toys, Sideshow, and Tweeterhead finally get around to releasing statues and figures of Yvonne Craig as Batgirl.